(Inside Science) -- Most people weren't worried about air pollution in Stockholm, Sweden in 2006, according to Emilia Simeonova, an economist at Johns Hopkins University in Baltimore. The city already had relatively low levels of nitrogen dioxide and fine particulates, pollutants from car exhaust that can damage lungs and exacerbate asthma. But when Stockholm started charging a fee for driving in the city center during rush hours, it reaped benefits far beyond uncrowded streets and speedy commutes. Many children who otherwise might have suffered asthma attacks were instead able to breathe easy. "We are already looking at an area that has much lower levels [of pollution] than the current [U.S. Environmental Protection Agency] standards, and we are reducing those levels by a little bit," said Simeonova, who presented the research at the American Economics Association meeting in Chicago in January. "Yet we see these vast changes in the health status of children." Stockholm is one of several cities around the world to institute so-called congestion pricing over the last few years. The program uses automated technology to scan vehicles' license plates as they enter Stockholm's "congestion pricing zone," then sends drivers a bill of up to the equivalent of $2.60 U.S. dollars per trip, with lower fees at uncrowded times of day. Stockholm first tried congestion pricing during a seven-month trial period in 2006, then reinstated it as a permanent policy in 2007. 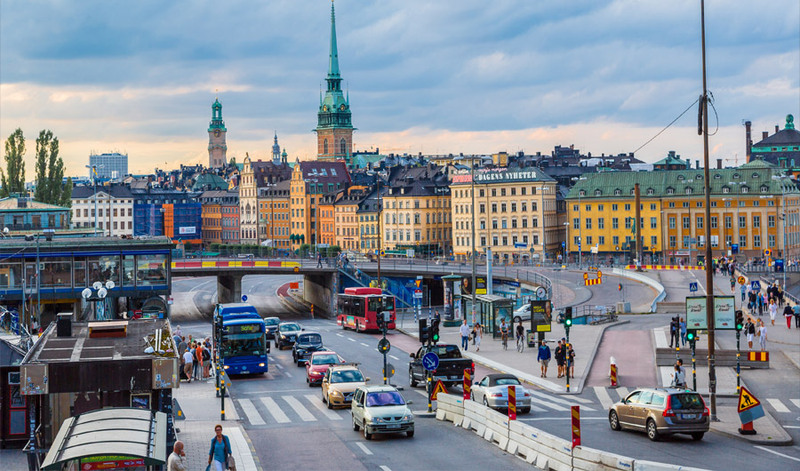 To assess the new policy's impacts, the researchers compared environmental and health data from Stockholm with data from 102 other Swedish cities that didn't have congestion fees. The data included levels of PM10 -- particulates less than 10 microns across that can get lodged in the lungs -- and nitrogen dioxide, a toxic gas that reacts with other chemicals to form ozone. Ozone helps shield the planet when it's high in the atmosphere, but at ground level it is a pollutant that can make asthma symptoms worse. In addition to pollution levels, the researchers tracked the number of asthma attacks that sent children under 6 to the hospital. Stockholm is the busiest and most polluted city in Sweden, but other cities showed similar trends in congestion, pollution and asthma rates prior to 2006. The researchers assumed that if Stockholm hadn't instituted congestion fees, it would have continued to experience the same worsening asthma and pollution levels as other Swedish cities. This assumption allowed the team to project what would have happened in Stockholm without the fees, and compare those estimates to what actually happened. The analysis indicated that if Stockholm had continued with business as usual, its air would have been five to ten percent more polluted between 2006 and 2010, and young children would have suffered 45 percent more asthma attacks. Simeonova notes that patience is needed to see the full health benefits. According to the model's estimates, those benefits were modest -- 12 percent -- during the seven-month trial period, and increased to 45 percent only when the researchers considered impacts over several years. "Changes in health take a while to take place," said Simeonova. "If you're just looking at the short-term effects of lower levels of pollution, you will probably be missing a big piece of the picture." Forty-five percent is a surprisingly large health benefit, and that number should be interpreted cautiously, warns Nicholas Sanders, an environmental and health economist at Cornell University in New York, who attended Simeonova's talk but was not involved in the study. Other factors might have influenced asthma rates in Stockholm, and the researchers couldn't control for all of them. But regardless of the precise values, said Sanders, the study provides solid evidence that congestion pricing can help children's health. The findings are striking in part because Stockholm already had relatively clean air when it started charging fees to drivers. Its PM10 levels were around one third lower than legal limits in the U.S., while its NO2 levels were half the U.S. limit, according to Simeonova. This suggests that even relatively low pollution levels could be enough to harm children. Current air quality standards from the U.S. Environmental Protection Agency are based largely on studies with adults, but recent research has confirmed that children are more sensitive to air pollution, said Adam Spanier, division head of general pediatrics at the University of Maryland School of Medicine in Baltimore. Spanier is part of an EPA advisory committee on child health protection. The agency has been working to incorporate more data on childhood health, but "it sometimes takes a while for the EPA to catch up to the research," he said. Spanier didn't see Simeonova's talk, but he has read a short, unpublished version of her upcoming paper. "They're showing a large public health benefit of this intervention that could easily be adapted in other places," he said. Congestion pricing may not work the same way in every part of the world. For example, diesel vehicles are more popular in Sweden than in the U.S., said Alberto Salvo, an economist at the National University of Singapore, who attended Simeonova's talk but was not involved in the study. Diesel produces more nitrogen dioxide and particulates than gasoline, so Sweden may have more to gain from small reductions in driving. Moreover, congestion pricing may not be the best option for U.S. cities that rely heavily on driving, Simeonova notes. Before introducing congestion pricing, cities would have to make sure that people can get around by other methods such as buses and subways. But while each city will need its own strategy for cutting pollution, the new study highlights the value of clean air all over the world, said Sanders. "It appears that what they've found is these cumulative effects of pollution," he said. "I would expect that we could use this information to drive policy just about anywhere."